Even with some crop damage, we’re to the point in the season where we could pick tomatoes and peppers just about every day if we wanted to. Today I opted to pick tomatoes, and ended up with a 15 pound haul. 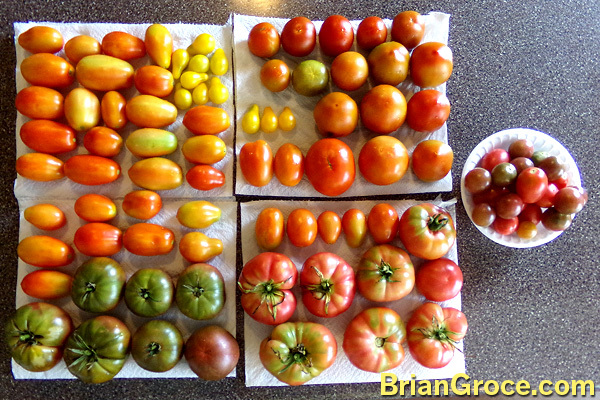 So the total of the 11 different tomato varieties comes out to 242.75 ounces, or 15.17 pounds. Not too shabby for a single day from a backyard garden. On top of that I did pick one zucchini that I was letting grow larger (2 pounds), to use for zucchini pie and/or bread.